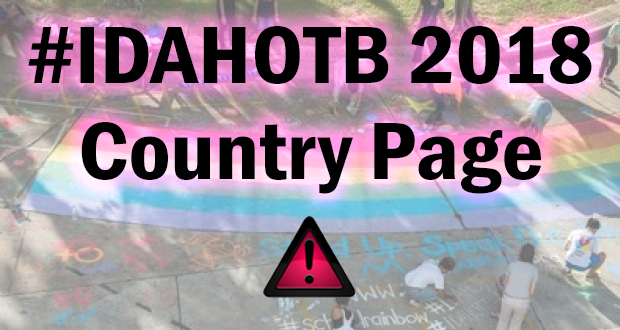 IDAHOTB in the UK makes it into Primary School in …Drag! “THE most important thing in life is firstly to be happy and secondly to be kind”. Those are the words of former Gogglebox star Scarlett Moffatt as she visited schoolchildren when they launched their PRIDE week yesterday. 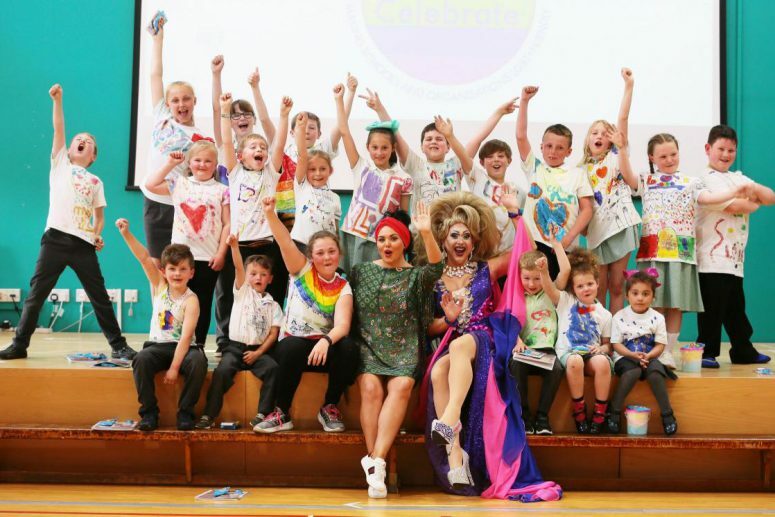 Pupils at Prince Bishops Community Primary School, in Coundon Grange, Bishop Auckland, screamed with delight as Scarlett entered with drag queen Miss Emma, who wore a full showbiz outfit and a train rivalling that of Megan Markle’s wedding dress. The pair, who were joined by Scarlett’s mum Betty Moffatt, had the difficult task of judging the children’s fashion show which kicked off a week of activities on the themes of PRIDE. The show followed a colour run last week where all 237 pupils from nursery to Year 6 marked International Day against Homophobia. And their colourful t-shirts were then used to create their own fashion pieces with glitter, bright colours and messages of love. The children wore their t-shirts with pride as they waited for their mystery guests in the school hall and enjoyed parading them down the ‘catwalk’ as they made their way to the school stage and danced to songs inspired by their theme of pride. Speaking to the children, Scarlett said: “I think what you are doing is amazing. The most important thing in life is firstly, to be happy, and secondly to be kind. Three winners were picked from each class and awarded prizes such as rainbow-coloured candy floss and colourful stationery. They also got to hug Scarlett and Miss Emma and dance with them on stage. Headteacher, Lynn George, said it was the first time the school had held a PRIDE week but she hoped it would be an annual event. The staff and children are also working towards an Educate and Celebrate Award which aims to make schools LGBT+ friendly.